Getting replacement windows can be very scary. How do you know if you’re getting the best windows in Chicago? There are so many options. Is there even a difference? Whether it’s how they look, how energy efficient they are or their durability, all windows are different. But how do you know what to look for? Don’t worry – we’ll help you pick the best windows for your home! Chicagoans have grown accustomed to extreme temperatures. It can be extremely hot or bitter cold at any time during the year. When that happens, you probably run to your home for shelter and we don’t blame you! It can get really uncomfortable outside. So why should your house also be uncomfortable? You don’t want to live in a place that doesn’t protect you from the weather outside. This is where your windows come in. To have the best windows in Chicago, they need to be energy efficient. For windows to be energy efficient they need to be insulated. How do you if your window is insulated? There are few of things you should check to make sure your windows are ready for Chicago’s weather. You want your windows to have multiple panes and be argon gas filled. Well that’s a mouth full, but what does it mean? A window pane is the sheet of glass. Many windows have a single pane but that won’t do much when it comes to energy efficiency. You’d rather have a double or triple pane window. These windows have two or three sheets of glass. Having multiple panes of glass also means they can be argon gas filled. Between each piece of glass is argon gas. Since argon gas is denser than normal air, it’s harder to pass through. Heat and cool air from inside your home won’t be able to escape. So your home will be more comfortable and you’ll spend less money on your energy and heating bills. Energy efficiency doesn’t end with the glass. To be considered the best windows in Chicago, the whole thing must be insulated. That includes the frame as well. Some windows come with foam filled frames. This foam filling is a great insulator and will prevent heat or cool air from leaving through the frames. Match this with double or triple pane argon gas filled windows and you have a winning combination. If you’re looking for replacement windows, check for the energy star sticker. That’s a sticker that’s given to products that meet the energy star standard. Only the best of the best in energy efficiency are given such an honor. Living in Chicago means you have no idea what weather is coming your way. Your windows better be prepared. The best windows in Chicago need to be able to handle rain, snow, hail and wind. Withstanding the extreme weather conditions means you windows will last much longer. You want to get windows that look good to you. There are many different style and color choices available so you have the ability to make one that matches your personal taste. 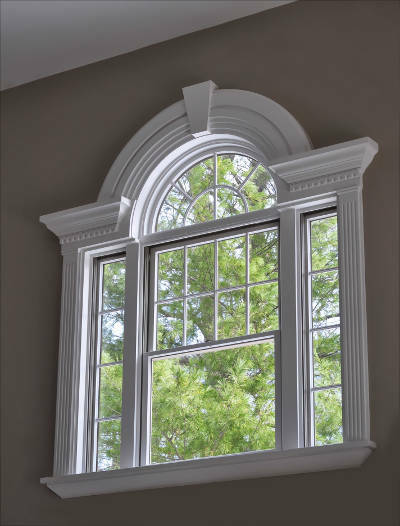 Double hung: the most common window. Double hung windows open up and down and can be tilted inward for easy cleaning. They also give you the most control over air circulation and will look great anywhere in your home. Casement: they open on a hinge using a hand crank. 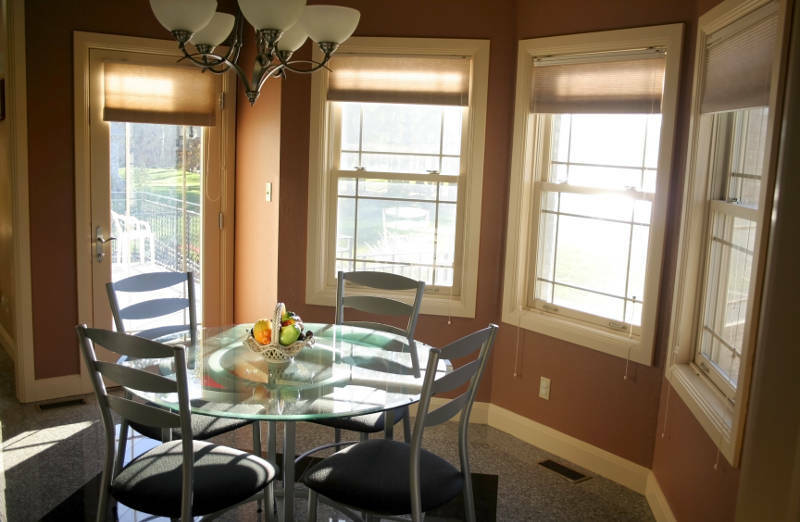 Much like double hung windows, they can be used anywhere in your home. Sliding: they easily slide open on a track with the slight push of your fingers. Sliding windows look best in the kitchen and are great for areas that are hard to reach such as above a sink. Picture: they don’t open at all. They’re best in a living room because they give you the best view outside. If you want control of your home’s air flow, picture windows are often paired with casement or double hung windows. Bay or Bow: both of these windows stick out from the facade of your home. Bay windows consist of three windows – two operable and a picture window. 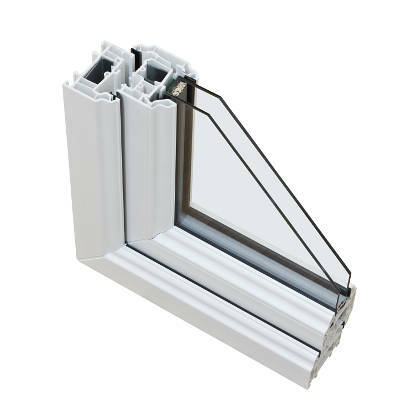 Bow windows are 3 – 5 equally sized picture and casement windows. Garden: they also stick out from your home’s exterior. Garden windows have shelves perfect for growing plants and herbs. They’re usually found in a kitchen. Awning: they’re hinged at the top and open from the bottom outwards. This creates an awning affect. Meaning your windows can be open during rain or snow and nothing will get into your home. Architectural: they’re uniquely shaped picture windows. Architectural windows add flair to your home by standing out from other window styles. The color window you choose is completely objective. You should still have an idea of what you’d like for your home. Do you want your windows to blend with your home’s exterior? 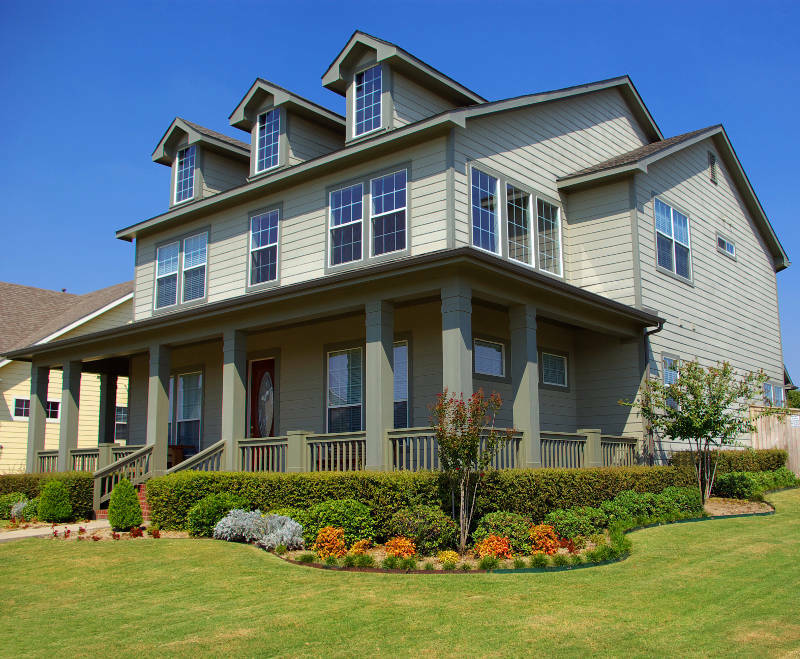 Neutral colors or a color that matches your home exterior is probably the route you want to go. 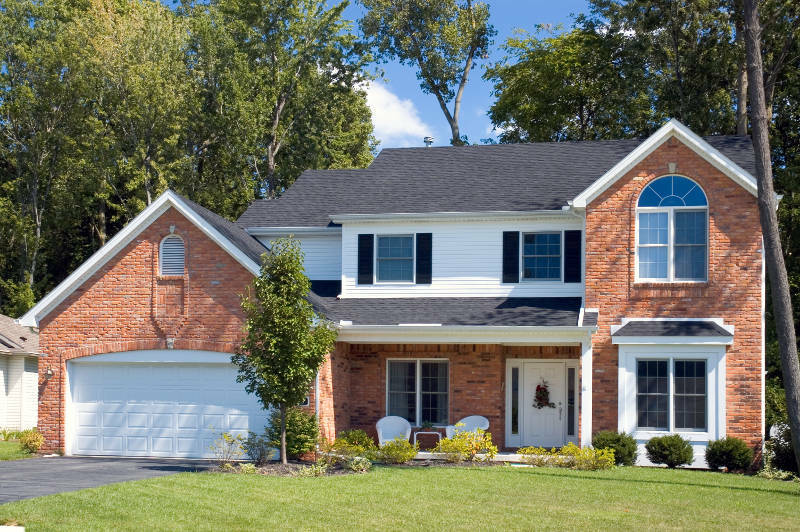 If you want your windows to stand out more, use a complementary color. What Material Do You Want for Your Windows? The last, but possibly most important, thing to consider about your windows is the material they’re made from. Each window material has its own strengths but which one is best for your home? Wood windows are known for being very beautiful. They’re sure to give your home a warm and elegant look, but are they the best windows in Chicago? Wood windows cost much more than all of the other windows materials. That’s a high price to pay for pretty windows. Plus, to keep your wood windows’s elegant look, you’re going to need to spend a lot of time and money maintaining them. They will need to be stained and repainted every few years. That isn’t something you have to do with other window materials. Wood windows are prone to warping and rotting too. That’s not something you want when living in Chicago. While wood is naturally a good insulator, there are other options that are better. They don’t have the foam insulation so heat and air could pass in and out of your home through the window frames. So is the look of your wood windows worth the price and lack of energy efficiency? Vinyl, on the other hand, is a more energy efficient, durable window option at a fraction of the cost. Most have foam insulation in the frame keeping your home more comfortable year round. Vinyl windows are also far more durable than the other window materials. They’re able to handle any weather Chicago throws at them with ease. Not to mention they won’t require bi-yearly painting or staining. They’re super easy to maintain! You’ll only need to quickly wipe down your windows once a month and they’ll look as beautiful as they did on day one. Aluminum windows are very durable as well. They won’t be damaged by rain, snow, hail or wind. They also don’t need as much maintenance as wood windows. Much like vinyl windows, you only have to wash aluminum windows every now and then. The difference between vinyl and aluminum windows is noticeable during the winter. If you don’t want your home to be freezing during the winter, aluminum windows might not be for you. Aluminum windows don’t retain heat well at all. Even with double or triple pane windows, heat will easily escape your home, which can be a problem living in Chicago. Who knows when the next polar vortex will be! You can’t have the best windows in Chicago if they aren’t installed well! Installation is key for you to experience the energy efficiency, good looks and durability of your new replacement windows. It’s important to hire a professional who has a good reputation to install your windows. They install windows every day so they’re prepared for anything and everything. They’ll have your replacement windows installed in no time too! All you need to do is sit back and relax. Why wouldn’t you want the best windows in Chicago? High quality replacement windows will keep you cool in the summer and warm in the winter, look great and can handle anything thrown their way. If you’re interested in replacement windows, don’t wait! Get a free quote now and enjoy a more comfortable home!